In this paper, the problem of robust H∞ control is considered for a class of discrete switched systems with state unavailable. A key feature of the controlled system is that the random faults are assumed to occur from the sensor to the controller and from the controller to the actuator, simultaneously. Moreover, the missing probability of each channel is governed by a random variable that satisfying certain probabilistic distribution in the interval [0; θ] (θ ≥ 1), which is a more general form of fault model. First, an observer-based feedback controller is designed. And then, by adopting the average dwell time method, a sufficient condition for the mean-square exponential stability and a guaranteed performance of the system are obtained. Finally, a numerical simulation example is given to demonstrate the effectiveness of the proposed method. Recommended by Associate Editor M. Chadli under the direction of Editor Duk-Sun Shim. This work was partly supported by Shanghai project funding for training of young teachers in colleges and universities (15U02) and the National Natural Science Foundation of China (Grant No. 61673174). Yonghui Liu received her PhD degree from East China University of Science and Technology. In 2014, she joined the School of Electrical Engineering, Shanghai Dianji University, where she is currently a lecturer. 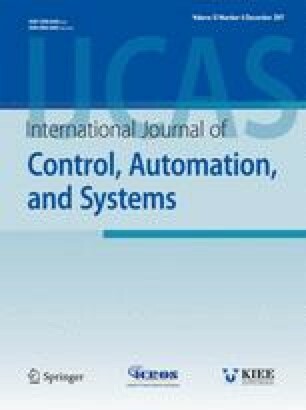 Her research interests covers sliding mode control, switched systems and fault tolerant control. Yugang Niu received his MSc and PhD degrees from the Nanjing University of Science and Technology, China, in 1992 and 2001, respectively. In 2003, he joined the School of Information Science and Engineering, East China University of Science and Technology, where he is currently a Professor. Now, he is Associate Editors of the International Journal of System Sciences, IET Control Theory & Applications, Information Sciences, and Neurocomputing. His research interests include stochastic systems, sliding mode control, Markovian jump systems, networked control systems, wireless sensor network, smart grid.